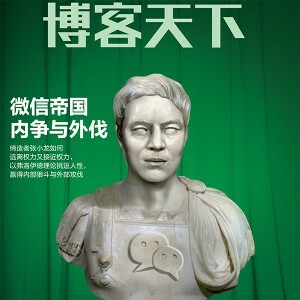 I began using WeChat 微信 in April this year, again like in 2010 when I started to use weibo, because Chinese friends and colleagues were all using it, and I felt the pressure to start using it in order to connect with friends and stay updated. 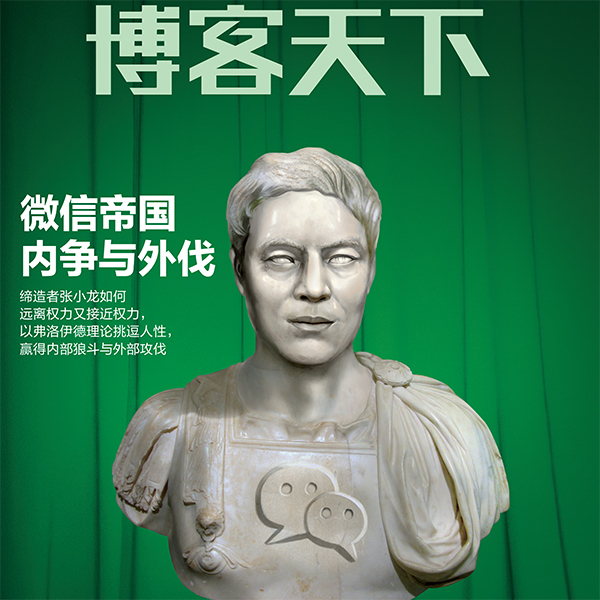 Already in February, Techinasia claimed that 2013 would be WeChat’s year and so it seems to have been. 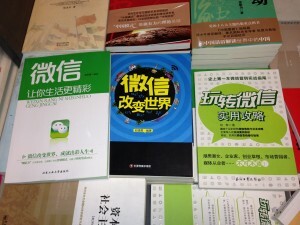 No doubt in part added by the official crackdown on public debates on weibo. Other commentators this year have echoed the view that WeChat is the hotest social media product in China and also paid attention to the fact that is is the first with a global appeal. Forbes recently reported that Tencent, which owns WeChat, is about to overtake Facebook, adding to the buzz surrounding WeChat. WeChat, launched by Tencent in 2011, is one of the more recent additions to the Chinese social media landscape and it has rapidly become essential for the technology-savvy and up-to date social media users in China. (For a good video that provides an overview of the rise and features of WeChat see Thoughtful China) WeChat already boasts some 300 million domestic users and counting, and a further 100 million international users. It is a multimedia communication tool that offers a wide range of services such as text messaging, hold-to-talk voice messaging, broadcast (one-to-many) messaging, photo/video sharing, location sharing, and contact information exchange. WeChat supports social networking via special location-based social plug-ins (Shake, Look Around, and Drift Bottle) that enables one to search for and chat with others in the neighbourhood. It thus combines many features of other social media and apps and is easy to use on smartphones. It is possible to set up public WeChat accounts, and many companies and media organizations have done so. Some NGOs and individuals have also set up public accounts to spread information and news stories. One of the reasons I started to use WeChat was because a Chinese journalist friend started to use it as a kind of private media outlet. His public account was later closed but he and some other journalists use their private accounts to circulate news and information among colleagues and friends. Another former journalist and founder of a charity organization is among the most active users I know, sending out detailed and frequent bulletins about his and his organization’s activities. Most people however use WeChat for very private and mundane reasons. It is an excellent and inexpensive tool to communicate with friends, send updates, and post photos. In some ways it functions as a combination of Facebook, Instagram and Skype. The big attraction is that you can also record voice messages and talk to people in real time over the platform. Or as one commentator described it: as a better WhatsApp crossed with the social features of Twitter, Facebook, and Instagram, mixed with Skype and a walkie-talkie. It is possible to establish different groups for family members, friends, and colleagues on WeChat. One friend for example has a special group for close family members to share information and upload photos of her son, and has other groups for communication and information shared with colleagues and other friends. However, WeChat limits the size of groups to 40 members in normal cases, although some have managed to exceed this through special connections. Public accounts can only have 100 followers, but some have been able to negotiate more followers/members. Furthermore those with public accounts cannot post more than one message a day. This of course seriously limits the possibilities to reach larger groups of people through WeChat, and thus makes it safer from the Chinese government’s perspective. There are a number of reasons for why we as scholars within this project should pay close attention to WeChat. For those of us interested in issues related to social networking and mobilization, it needs to be pointed out that WeChat differs in comparison with weibo and do not encourage public debates and civil society mobilization. Weibo, for all of the censorship and the recent crackdown, is a more public platform where one can read and follow anybody at will, and thus stay tune to current hot topics and news. WeChat in contrast is a more closed networking tool that, some observers claim, might make people stick to already existing networks and prevent new networks and communities from forming. However, people continue to build on networks established through weibo, and many are linked up with different networks on WeChat. Many people also remain active on both weibo and WeChat and use them for slightly different purposes. While there are some surveys that hint at a weakened interest in weibo, it is too early to know the wider implications and whether it has more to do with the current crackdown. For all of its more limited reach and potential for open debates and large scale mobilization, the Chinese government is keeping its eyes open on WeChat too and it is also subject to control and censorship. Some people have seen their public accounts closed, had posts deleted, or noticed that information they have sent over WeChat have been monitored. For those interested in the business side of social media, WeChat is an interesting, successful and evolving business model. The man behind WeChat, Zhang Xiaolong, a low-profile entrepreneur and product developer has not given any interviews to Chinese media. The most elaborated description of him and WeChat was published in the magazine 博客天下this September. I found a power point presentation by Zhang Xiaolong on Slideshare where he outlines the development and thinking behind WeChat that offers some insights into his business idea. During the fall several articles have discussed WeChat’s efforts at monetization and e-commerce in collaboration with other companies (see recent reports in South China Morning Post and Caixin). WeChat has already become an essential marketing tool for both domestic and international companies on the Chinese market. WeChat is not without competitors. Alibaba, the Zhejiang based e-commerce company, recently launched its own app, Laiwang, which provides some other functions. And earlier this year Netease and China Telecom launched their chat app, Yixin. Whether any of them will give WeChat a match remains to be seen as WeChat has gotten a head start. It is also interesting to note that WeChat is the only Chinese social media product so far to have become successful on the global market, and it thus offers some lessons and inspirations for other Chinese companies. WeChat exist in 18 different languages already. Judging from this Youtube clip it is also growing in India. However, although many global consumers seem unconcerned about the potential risk of having their accounts monitored by the Chinese government, according to one account Taiwanese consumers are more concerned and therefore rather favor the Japanese app LINE. Behind the Great Firewall, and partly protected from international competition, Chinese ICT companies are very innovative and will continue to launch new apps and social media products. It remains to be seen how many of them will have a chance on the global market, but the Chinese market is big enough for them to make a handsome profit. It will be interesting to follow developments of new social media products in China and to understand how users help shape this development. New ICTs are jointly developed and shaped by Chinese consumers and producers within the boundaries set by the Chinese state, but these boundaries are constantly being negotiated and re-drawn. This entry was posted in Uncategorized and tagged Alibaba, apps, Caixin, censorship, LINE, Netease, Tencent, WeChat, weibo, YouTube. Bookmark the permalink.